SUBWAY is opening their 100th store! And they want to celebrate with you!! 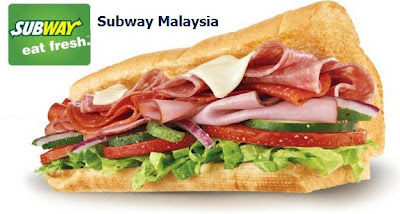 Drop by Space U8 at Bukit Jelutong tomorrow (5 April 2012) and be amongst the first 100 customers to get a FREE regular 6" sandwich. Each person is entitled to 1 sandwich redemption only. Limited time offer at Space U8 at Bukit Jelutong, Malaysia. Subway® restaurants reserves the right to amend the offer without prior notice.